A shopping guide to Paris, by Thérèse and Louise Bonney. By Thérèse Bonney. 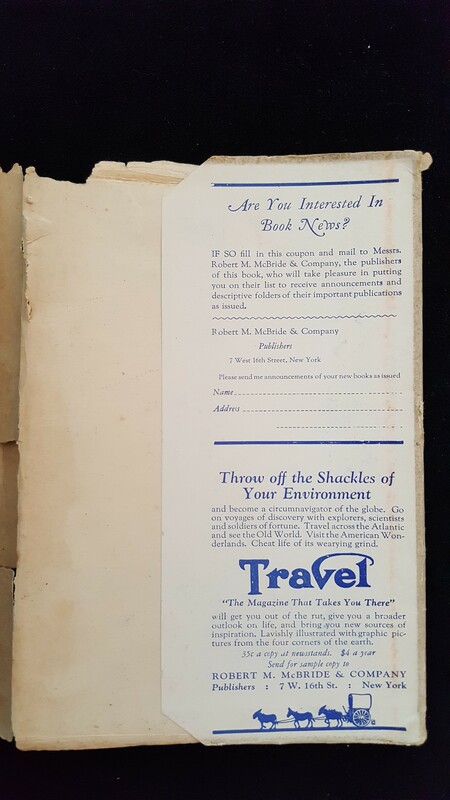 New York: R.M. McBride & Company, 1929. The Cooper Hewitt, Smithsonian Design Library owns over 4,000 photographs by American photographer and journalist Thérèse Bonney, (1894-1978), who documented life in Paris from 1925-35. 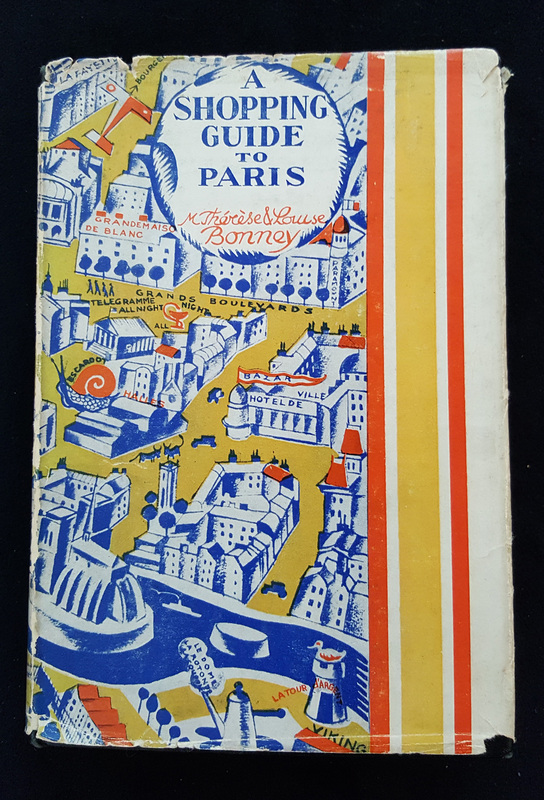 Published in 1929, she and her sister Louise created this guide for the “350,000 Americans who visit Paris every year.” The foreword says, “dozens of books have been written telling you what to see, but we are writing about where to buy, … buying is as important as sightseeing in this enchanting city.” Chapters devoted to fashion and accessories, furnishings for (emphasis on modern) interiors, where to eat, buy antiques, and the different department stores were written to help the reader save time and get the best values. The chapter on Modern Decorators is an especially important and revealing insight into modernity. Their intimate knowledge of the salons, department stores, designers, and artists of early 20th century Paris provided visitors with the benefits of their experience of shopping in the City of Light. 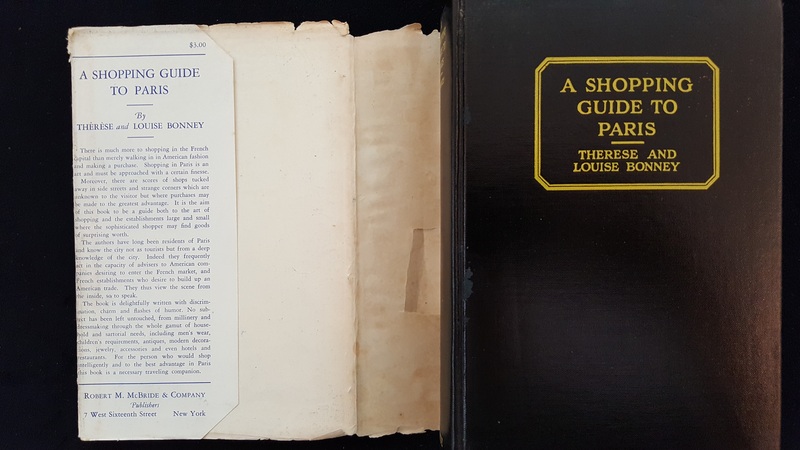 This book has an early 20th century publisher's binding with the original dust jacket. The dust jacket is torn in multiple locations. 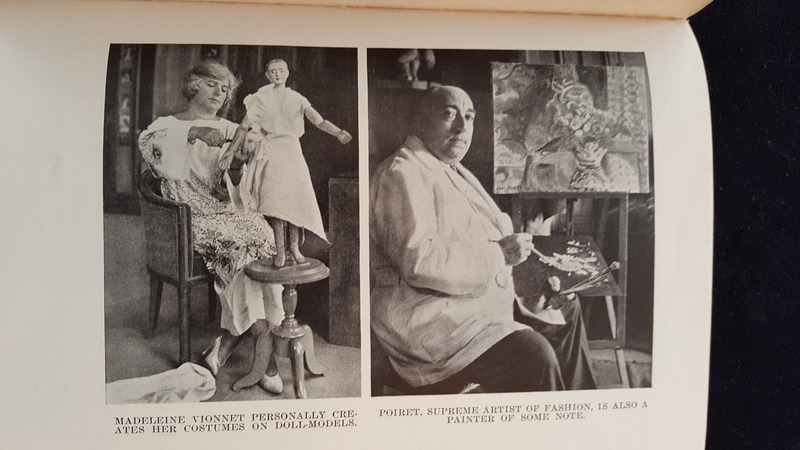 Conservators will repair the dust jacket with Japanese paper and reversible wheat starch paste. A custom double tray box will be created to house this fragile item.